“Whist condemning the actions of the errant Minister and his goons, we are hopeful that all political parties, the civil society, the media and the individuals will be united, leaving behind their differences, in urging for stern action against the Minister and the group who attacked the court houses. We urge the people to take all possible steps within their powers to restore Rule of Law, democracy and constitutional values in the country.” issuing a statement says, the Lawyers for Democracy. 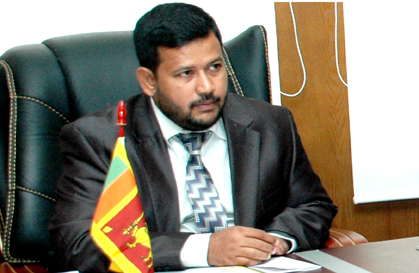 Responding to the threats exerted by the Cabinet Minister Rishad Badurdeen on the Mannar Magistrate (Mr. A. Judeson), the Lawyers for Democracy (LFD) urges the President to remove the said Minister with immediate effect. Confirmed information discloses that the Minister has interfered with the course of justice and threatened the Magistrate and thereafter the court houses came under attack. The LFD is shocked to learn of the incident where the Minister had intimidated the Magistrate and obstructed the administration of justice. In case no. 396/12, the Magistrate has made judicial orders and the law requires the Authorities to carry out the order of the court. A minister has no lawful authority whatsoever to interfere with course of justice. While the courts were in session, the attack was carried out and the courts were damaged, by an organised group of people, instigated by the Minister. This is the first time in the history of our judiciary that such direct threats and physical attacks has taken place. This is an indication of the level of deterioration of the Rule of Law in the Country. LfD also reiterates the need to protect the institution of Judiciary and reminds the public of the constitutional duty on all organs of the state to respect and protect the judiciary. Whist condemning the actions of the errant Minister and his goons, we are hopeful that all political parties, the civil society, the media and the individuals will be united, leaving behind their differences, in urging for stern action against the Minister and the group who attacked the court houses. We urge the people to take all possible steps within their powers to restore Rule of Law, democracy and constitutional values in the country. Is It Closer To The Death Of The Newspaper? I agree that this IDIOT Badurdeen must be removed, but MARA is the chief of the judiciary and this IDIOT did what he was told???? Rupavahini was never attacked but,it happened,a court today! This govt wants a pliant media,judiciary,everything.These incidents are not isolated. Chief Justice Chaudhrey in Pakistan showed all powerfull Gen.Musharraf the door and into exile. Minister concern has to come under the an investigaion and required necessay punishment without delay. Legal instituaion of safty and security is essential to run law and order of country and Nation. No body above the law of land,without political per-juduce, State authorities need to excerise power to proteced legal binding society. And complled to take action against Minister’s behaivour with immerdieat effect. Any form of terrorism cannot accpect after end of war aginist Terroism 2009 May;since 1965 JVP give birth to anarchasism cannot repated our island bu any means. You all are dreaming about removal. This is really cool. Way to go Minister Rishad Badurdeen. Al-aha Bless you. This is not the way for a Muslim to react, what is so well done ? What is so cool ? and you in the month of Ramadan encourage mischief. It is Laughable to think about our Judiciary Concerning Sarath Fonseka & some Election & FR petitions, when some puppets are appointed to uphold justice. This incident needs an unbiased investigation speedily & punish them. This so-called Minister Rishard Bathiuthdeen (?) now says he was never in Mannar on the day and place the event took place??? The country is all too aware of the Mervyn Silva type of double-talk and cheap diplomacyb- standard fare now among many Ministers. Magistrate Judeson might be in the best position to clarify the matter. Rishard B be is no more than a muttering nimcompoop flaunting his over-sized suits. He might be ignorant of the way how the law works. Few understand his English or Tamil. Who wears suits in the baking heat of the Wanni? He is encouraged and tolerated by the Great Divider MR in trying to keep Rauf Hakeem and the SLMC on the boil. He (Rishard) seems to have succeeded there but he has greatly harmed the Tamils and Muslims in the Wanni in many different ways – something for which he will not be forgotten. He is sometimes referred to as the Muslim Devananda – with his own petty army of armed goons and black-mailers. Badurdeen is just another Mervyn Silva….! Nothing is going to happen….!!! Thanks for bringing such important topic to the public. But the point is it is not novel to common Sri Lankans as it is (was) happening everywhere in the country during the last two decades in different forms of violence under Gonawala Sunil, Soththi Upali, Chinthaka Amarasinghe, Kalu Ajith, Kaduwela Wasantha, Moratu Saman, Nawala Nihal, Olcott, Dematagoda Kamal, Kimbula-Ela Guna, Thel Baala, Colum, Potta Naufer, Neluwa Priyantha, Mervin, Karuna, and finally Dumintha Silva . The only exception is Badurdeen broke the court complex. Due to such criminals figures the general public suffers and most importantly you know what, 99% of this very public do not give damn about such incidents, criminals, and criminals figures after a month or so. Sri Lankans are great people because they forgot things very fast than anybody in the world. It is hilarious. Thus we will continuously had (will have) these nastiest, corrupted, stupid, uncivilized, pathetic, and mentally distorted people and leadership(s) in this country which will protect all illegal criminals such as this stupid Rishad Badurdeen and Duminda. What is important is do something constructively NOW and abolish the stupid Executive Presidential System otherwise you never going to see this as civilized place. Turns out Minister Rishard B was not at the spot but is reported to have twice phoned Juddge Anthonypillai Judeson and intimidated him to change his verdict. He may have been behind his thugs attacking the new Courts complex and stoning the Judges office with intent to seriously harm him. If this is what happened the man should be fired from his post and made to resign from Parliament. Retaining him will be a further black mark on the Rajapakses that will come to haunt them in places they fear much – the UN, UNHRC and so on. Another example to show how the country is ruled by thugs. Democracy is no more. We are a failed state. Mark my words, Nothing is bound to happen. Defenders of law and order in this country may shout from the rooftops till they are hoarse but Nero and his men will fiddle on. If a Minister goes about asking for the removal of a judicial officer since he gave a verdict unfavourable to him; And, engages in unadulterated lies falsely calling others “LTTErs” – a currently marketable phrase – and if the uneducated ignorant oaf is still in the front lines of what goes as our Govt your conclusion “we are a Failed State” is right on Spot. Will President Rajapakse do the right thing without delay in removing this ill-educated man forthwith and thereby restore some respect to the Rajapakse name?